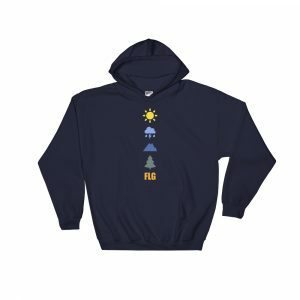 How Did Mount Elden in Flagstaff Arizona Form? The San Francisco Peaks are the most dominant and popular volcanic structure on the Flagstaff horizon. However, there is another volcanic feature to the east that is nearly as impressive and is often overlooked. In this article we will discover the unique and interesting ancient volcanic history of Mount Elden. So, let’s get started! What type of images come to mind when you think about volcanic eruptions? If you’re anything like me, volcanoes often stir up images of violent eruptions spewing lava high into the air and large lava flows creeping along the earth causing mass destruction. Of course, many volcanoes do erupt in this fashion including cinder cones like Sunset Crater and stratovolcanoes like the San Francisco Peaks. 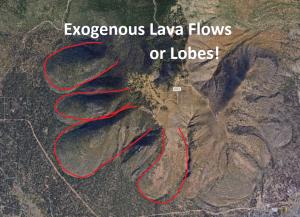 However, the topic of today’s article is the formation of Mount Elden in Flagstaff which formed from a different type of volcanic forma altogether. Mount Elden is an exogenous lava dome formed over tens of thousands of years of slow build up from thick, slow moving magma. How Did Mount Elden Form? Liquid hot magma that is lurking underneath the earth can be made of all kinds of different substances. Volcanic ot spots don’t discriminate to the type of rocks they melt and so the composition of the resulting magma can vary greatly. Sometimes its can be ‘runny’ and charged with gases and sometimes it can be more ‘soupy’. The type of magma that formed Mount Elden is of the latter, more ‘soupy’ sort. It’s almost like the difference between soda and a milk shake in consistency. Dacite Magma, which is the sort that created Mount Elden, is highly viscous because it has a relatively high silica content. This means that it is a thicker, more sticky substance that moves much more slowly. So as the magma moves towards the surface of the earth, instead of violently erupting, it slowly builds up layer by layer into a sort of dome. Sometimes the magma stays contained in the dome and the result is a fairly uniform mountainous structure. Alternately, sometimes the magma manages to breach the surface of the forming dome and the lava will flow outwards and down the side of the newly formed mountain, forming lobe-like structures. The latter is what happened during the formation of Mount Elden. Like a Package of Jiffy Pop? The effect of the Dacite Magma or lava building up around the vent is a lot like that of a giant balloon or perhaps like preparing a package of Jiffy Pop. The aluminum foil over the popcorn becomes more and more inflated as the volume of the popcorn increases below it, and ideally the foil would stay intact and you’d have a nice round container full of delicious popcorn. However, if the pressure becomes too great or a fault in the foil is found by the popcorn then it might bust out the side and form a delicious popcorn lobe, just like its lava equivalent. 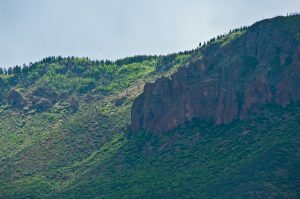 The eruptions that resulted in the formation of Mount Elden took place about 600,000 to 500,000 years ago, and the final structure have several lobes caused by external lava flows which can be seen along the south and south-western edges of the mountain. Another interesting feature of Mount Elden is that in some places the earth itself was pushed up by the eruption, revealing the ancient the rock layers underneath. Sedimentary rocks that made up the utmost layers of the area when the volcano began erupting, were pushed up out of the earth and portions of them left exposed. This can be seen very clearly in many places on the mountain but in particular towards the end of the Sandy Seep Trail. Because of this, scientists have found fossilized remains of ancient sea creatures thousands of feet higher than they should be. The significance of Mount Elden as an impressive geological feature, as well as a popular destination for recreational activities is often underestimated. It is dwarfed in size and stature by its more famous and larger cousin, the San Francisco Peaks, but it truly is fascinating in its own right. What is your favorite part of Mount Elden? Thank you for reading this article on Enjoy Flagstaff! If you’d like to be kept us to date when new content is released, head on over to our YouTube Channel and hit the Subscribe button as well as the notification bell. Until next time, keep exploring my friends. We’ll see you later! What To Read Next – Was A-1 Steak Sauce Invented in Flagstaff Arizona?